Conviction sometimes comes from the most unlikely places. Chip and I received a letter today from one of the Compassion International children we sponsor. Her name is Wilne. She lives in Haiti. In the middle of her narrative about going to school and playing soccer, she told us that she gets water from a tank. She then asked us about our community and what we do everyday. This was a poignant moment of discussion for us. What do we say? “We turn a tap in our house and water comes out of it all the time.” “We use water to keep flowers alive in our yard.” “Our dogs have plenty of water to drink every day.” Of course, we’d never say these things to Wilne. Not only would it be insensitive, but she probably has absolutely no context for understanding such things. Her simple statement, however, did more to make me examine my ridiculously luxurious life than anything else has in quite some time. I pray I don’t soon forget it. I thought about this on Saturday as I was touring the interpretive center at an old coal mining facility. We adjust the thermostat, turn on the water, turn on the hot water, get dinner out of the refrigerator, turn on the dryer, etc., etc., etc. Every day, we perform thousands of tasks of convenience that were unimaginable to even my mother as a small child. She and her brothers hoed and picked cotton in the Mississippi heat. I work at a desk. Indoors. With lights and air conditioning. It’s tragically easy to forget how easy we’ve got it, how far we’ve come and on whose shoulders we arrived. 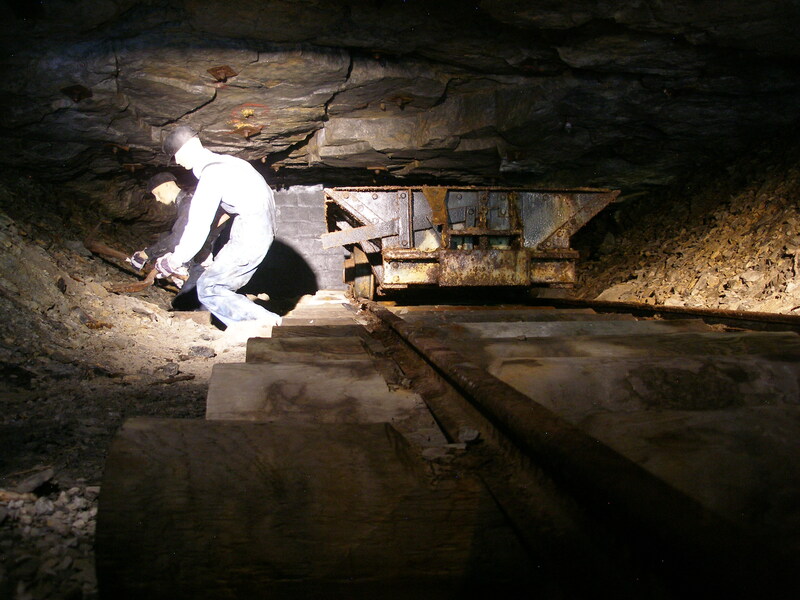 Men like the miners depicted in the photo died to provide energy. More died building the roads, railroads, bridges, buildings, pipelines and all the other things that let us live with the convenience that we do. We honor the soldiers who fought for our freedom – as we should. Today, let’s honor the workers who worked for our convenience. ← External Water as Valuable as Internal Water?